Summary: Armed with only his wits and his cunning, one man recklessly defies the French revolutionaries and rescues scores of innocent men, women, and children from the deadly guillotine. His friends and foes know him only as the Scarlet Pimpernel. But the ruthless French agent Chauvelin is sworn to discover his identity and to hunt him down. They seek him here, they seek him there, those Frenchies seek him everywhere. Is he in Heaven or is he in Hell? That demmed, illusive, Pimpernel. Our book club gathering last week was small but full of life. I'm sorry to say that most of the noise was caused by me, I just get so excited to be around adults these days. It was so fun to discuss this charming, quick read and to listen to the background of the story. Our overall rating was: 3.7. So I would say that the majority of us enjoyed it. A lot of people agreed that the beginning was a little slow and confusing and others wished it had more character development. Most people were left wanting at the end...hoping for a little more romance. But I think we all enjoyed the little twists and turns. We learned some interesting background about the book. For example, the author, Baroness Orczy was born in Hungry (obviously an aristocrat) and her family left and fled to England during a political uprising. I would say that probably gave her some insight into writing about the French Revolution. We also found out some crazy facts about the guillotine. Wow. It got it's name from the last name of the person who invented it (much to his chagrin) to be a more humane way of executing people. I doubt he knew where his invention would take the French. Did you know it was used up until the 1970's? Ahh. We were also told about a crazy study about life after your head gets chopped off. Fascinating. 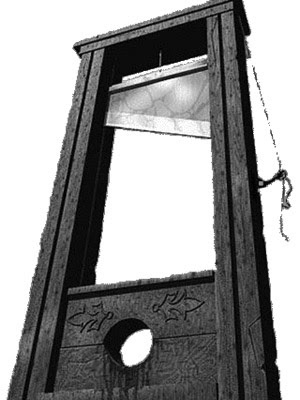 I won't go into any detail, but it made me pretty wary of the guillotine that's for sure. 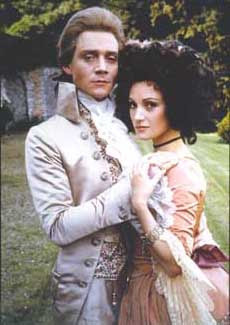 Now, a very important fact you must know is that Armand (Marguerite's older brother) was EIGHT years older than her. Why is this important? It just is. Ask Jillian. 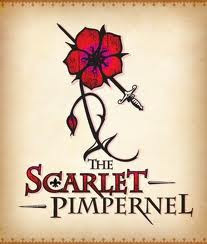 I hope that you will read the Scarlet Pimpernell if you didn't get a chance to this month. Also, if you are feeling very revolutionary--here are a few of my French Revolution suggestions: The Red Necklace by Sally Gardner (I wasn't able to make it to the end of this book...but enjoyed reading the first half with my sixth graders), A Tale of Two Cities by Charles Dickens, or Les Miserables by Victor Hugo (not the same revolution...but still a French Revolution). Also, if you want to watch the 1980s production of Scarlet Pimpernel I have it sitting here at my house just waiting your call! Thanks for the great discussion and the great read everyone! p.s. Is anyone else religiously following the casting for the Hunger Games movie? I can't get enough! I'm dying! 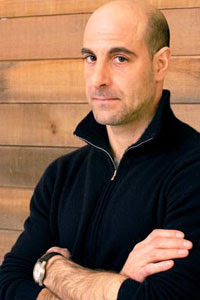 Couldn't be more thrilled with their choice for Caesar Flickerman (Stanley Tucci--pictured above)...so great! FABULOUS review Mandi, thank you for bringing your fun personality and great critic skills to our book club! And YES, I'm following the casting for the Hunger Games and I'm gearing up to blog about it soon!